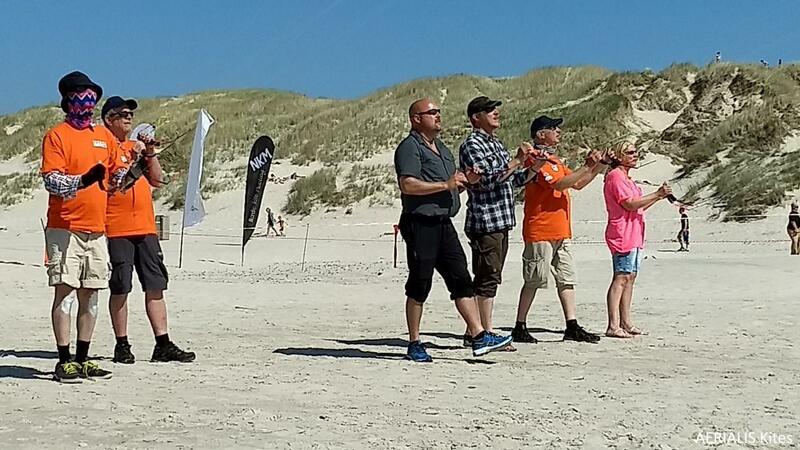 This 20th Nordic Kite Meeting in Blokhus Denmark was my first. There were four full days of kiting in a kiting environment not leaving the beach during day time, yet the time was too short - given the favorable circumstances of the meeting there were so much more to test, do and learn. For other flavors of kiting than DLKing and QLKing there was the Blokhus-Lökken wind festival going on around us. Being surrounded by helpful and knowledgeable kite people all times of the day (and evenings as well) you just can't help picking up knowledge. If you wanted a kite discussion someone at hand most likely had good insight in the matter. I hope that I didn't kite talk you to death, but due to a lack of local DLK/QLK pilots where I live, I had so many years of kite talking bottled up. The time I, hrm..., had a sudden need for a LE-repair, tools and spares offers "just appeared". When returning home late in the evening my still awake oldest daughter asked about the trip and after a while asked the question "How fun was it?". The best answer I could give was that it was like being a child again and going to a perfect top notch wild camp or a language course in a foreign country. Many BIG thanks for this greatest kite opportunity that I have had so far! I already look forward to a future event where one could continue to do even more of OPK testing, team flying, actually seeing kites that you just have read about before, technique refinement and even more actively sharing/learning tricks/techniques. 1. Showing serious DLK-tricking that I otherwise only see on Youtube/Vimeo, but now in real life instead. 2. Being a good driver of the "kite-mobile". 3. Demonstrating that spoken Norwegian is not that difficult to understand for a Swede. Regarding the QLK piloting image, when showing it to my family their "family warm"/honest verdicts were: "You look like a monster", "Horrible", etc... However I don't think that I, in the beginning of summer/end of spring, would have lasted for four full days on the shadeless sunny beach otherwise.